Traffic jams, accidents, blocked roads – for many people in Germany, the thought of vans and trucks in traffic leads to just one thing: stress. More and more trucks are flooding the country’s freeways and highways, and this inevitably pushes up the number of serious accidents involving commercial vehicles. One result of this is that Germans would increasingly feel safer with fully automated, driverless trucks on the road. This is the outcome of a survey conducted by Bosch and Innofact AG in the lead-up to the IAA Commercial Vehicles in Hannover. While almost 40 percent of respondents would rather that trucks have a human driver at the wheel, already more than one in three (37 percent) no longer have a preference for a human over a machine. In fact, one in four respondents would have more confidence in an autonomous truck than in a human driver. For now, driverless trucks are still an unrealized vision. But the survey shows that in Germany, people increasingly favor automated trucks when it comes to safety. The intelligent technology on board such trucks could prevent a large number of accidents: the reality is that nine out of ten accidents are due to human error. “Delivery traffic on Germany’s roads must become safer and more efficient, because it doesn’t affect just logistics companies and retailers, but all road users,” says Dr. Markus Heyn, member of the Robert Bosch GmbH board of management. Bosch has a clear vision: road freight of the future should be not just accident-free, but also ideally as free of emissions and stress as possible – for all road users. At present, most people stuck in traffic find trucks and vans rather annoying. 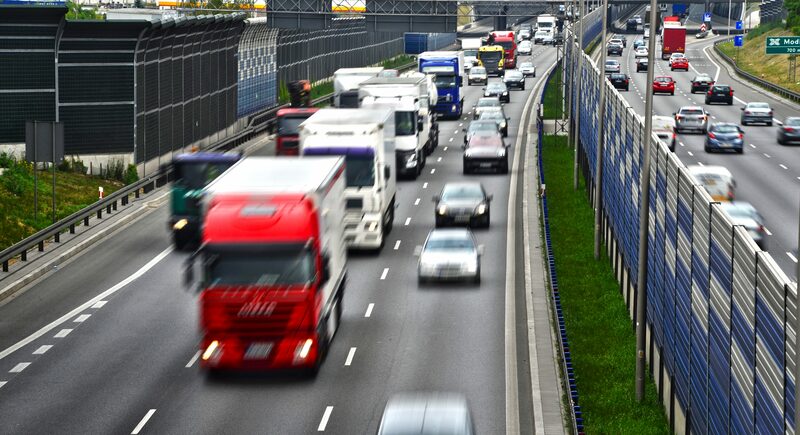 According to 57 percent of respondents, Germans feel particularly unsafe in critical situations involving trucks – for instance, when merging onto the freeway or when a truck is turning. More than one in two (56 percent) believe that there are too many road freight vehicles on the road. Around half of respondents said their biggest complaint is when trucks block traffic while parking. Other annoyances include commercial-vehicle emissions (50 percent) and truck noise (43 percent). Only one in five respondents said that truck traffic didn’t bother them. What the survey also highlights is that very few people are willing to do anything themselves to relieve delivery traffic on the road. For instance, three-fourths of Germans (73 percent) don’t want to shop less online. And few of them (49 percent) are willing to compromise by accepting longer waiting times for parcel deliveries as a way to relieve traffic – having parcel delivery just once a week instead of every day. However, one in four respondents (27 percent) did say that they would reduce delivery traffic by returning fewer goods, while 36 percent would have their parcels delivered to a central parcel station or collection point and then pick them up themselves. Paying more for parcels to be delivered – to have, say, more evening deliveries so as to spread traffic throughout the day – is something only 15 percent of respondents would consider. The survey shows that Germans are highly critical of road freight, both on freeways and in cities. Trucks annoy them. But the fact is that road freight will increase by another 50 percent by 2040 (source: Shell study). That makes it all the more important to tackle pressing challenges such as preventing accidents and relieving road freight. At the 67th IAA Commercial Vehicles in Hannover, Bosch is showing how this can be achieved: there, the company is presenting . Survey design: For the major study entitled “Commercial vehicles in road traffic” conducted on behalf of Bosch, Innofact AG surveyed 1,068 people throughout Germany between the ages of 18 and 69. The interviews were conducted in August 2018.